ROSEMEAD , CALIFORNIA , UNITED STATES , February 10, 2018 /EINPresswire.com/ -- Candy Shih of Rudy L. Kusuma Home Selling Team has earned the prestigious Award-Winning Real Estate Expert® designation presented by the Titanium Real Estate Network. We have 25,127 buyers in our database looking for a home in the area. 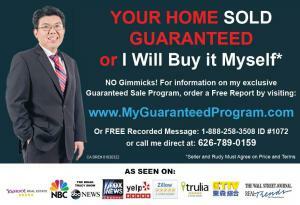 It is likely that the buyer for your home is already in my database - Your home may already be sold!